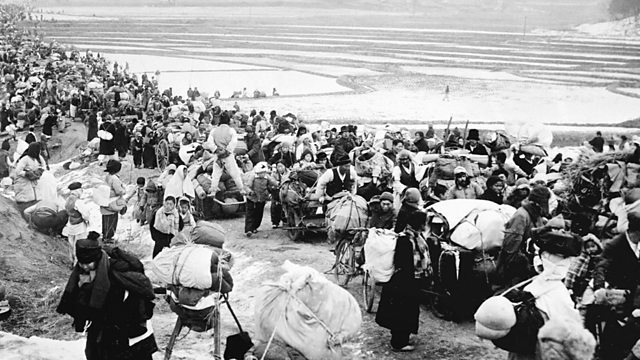 North Korean communist troops invaded South Korea on 25 June 1950. Initially they were very successful until UN forces (mainly American) helped drive them back. North Korean communist troops invaded South Korea on 25 June 1950. Initially they were very successful until UN forces (mainly American) helped drive them back. The war lasted until a ceasefire was declared in July 1953, millions of Koreans were killed in the fighting. Dr Yoon Goo Lee was living in a town in South Korea when the invasion started. In 2010 he told his story to Louise Hidalgo.